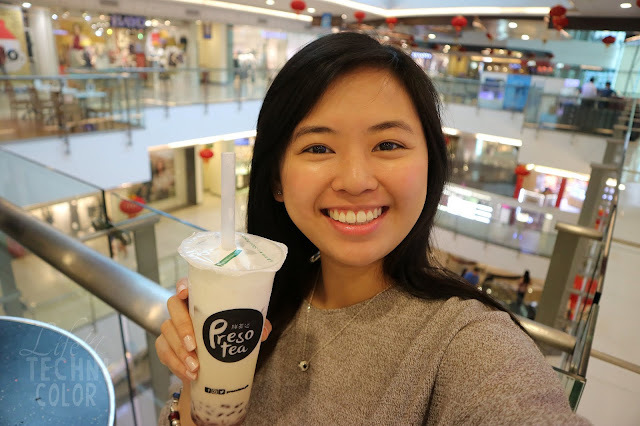 Presotea Finally Opens in Manila! 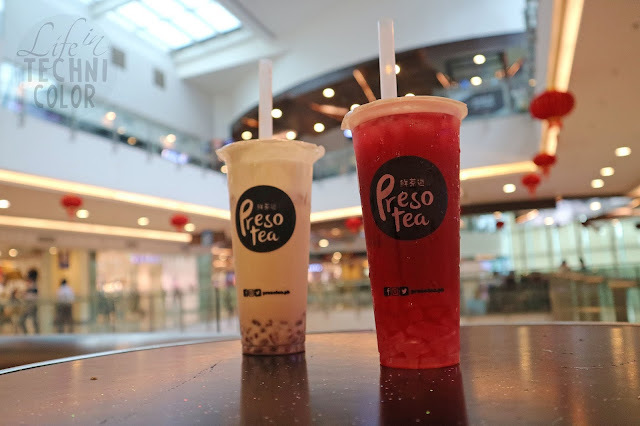 Popular Taiwanese tea-based chain Presotea has finally landed in Manila!! 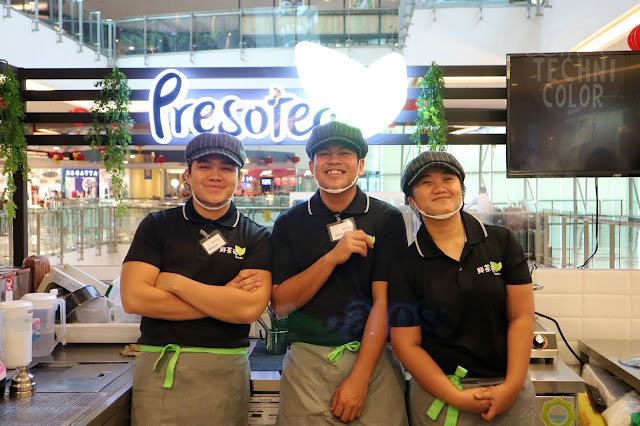 With 400 branches internationally, it's about time that Presotea finally opened in Manila! 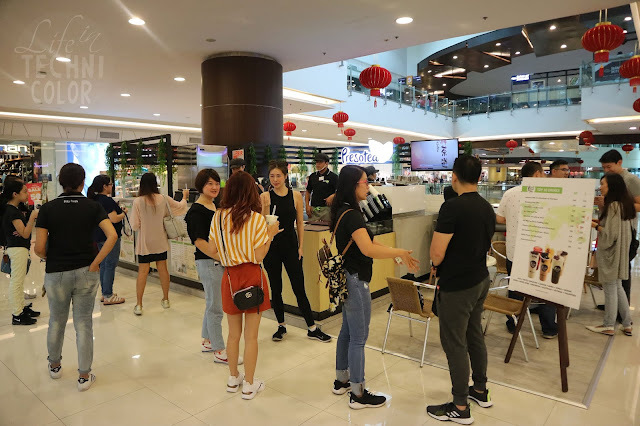 Just last month, the brand opened two stores - one in Robinsons Magnolia and another in SM Cherry Shaw. 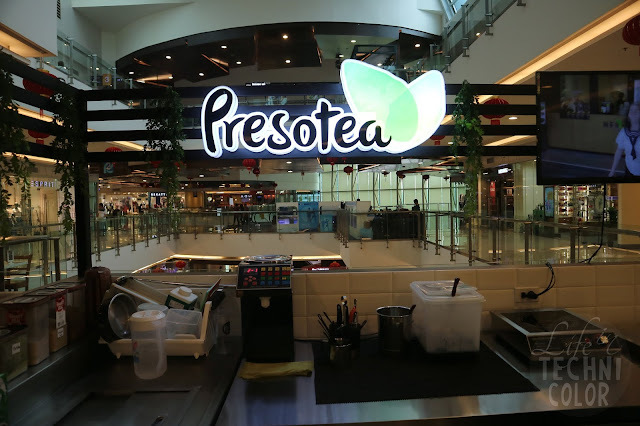 Presotea began in Taiwan in 2006 and has since expanded to countries like China, Hong Kong, Australia, Indonesia, Vietnam, and Canada. Shops in the United States, United Kingdom, Japan, and South Korea are also expected to emerge soon. I tried a couple of these during my visit to their Robinsons Magnolia branch and I'd have to say, they're really good! 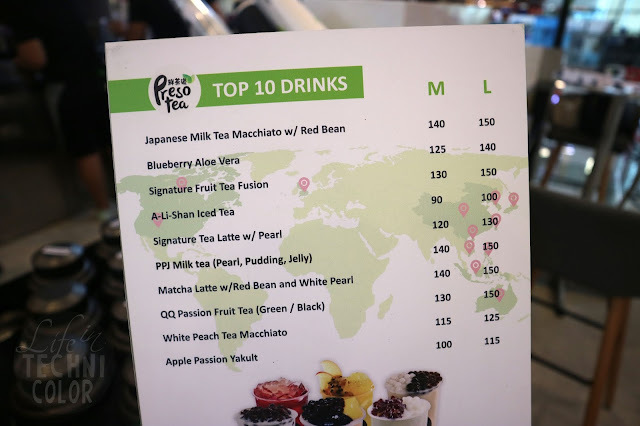 My favorites are QQ Passion Fruit Green Tea, PPJ (Pearl, Pudding, Jelly) Milk Tea, and Japanese Milk Tea Macchiato with Red Bean (I almost substituted the red bean with pudding, but I'm glad I didn't because it works really well with the flavor of this drink). 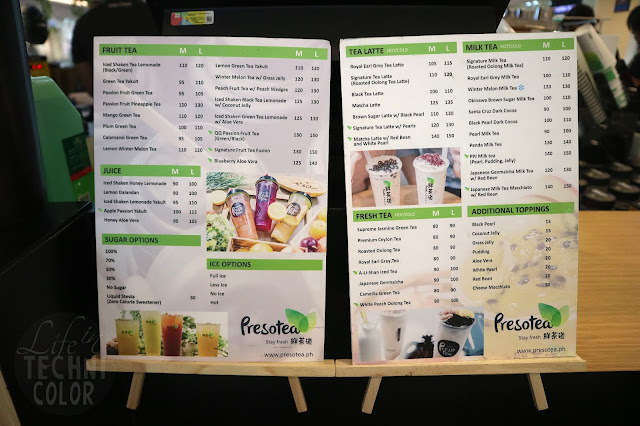 Presotea insists on providing the freshest and healthiest tea drinks. 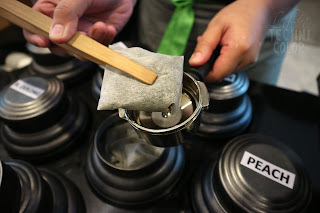 For this to be achieved, Presotea launched its own cutting edge tea-brewing machine known as the Teapresso. 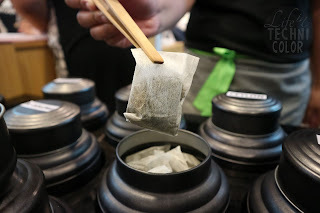 The high- temperature and high-pressure machine extracts the essence of tea, thus making every customer enjoy the fresh tea flavors and the bittersweet aftertaste. 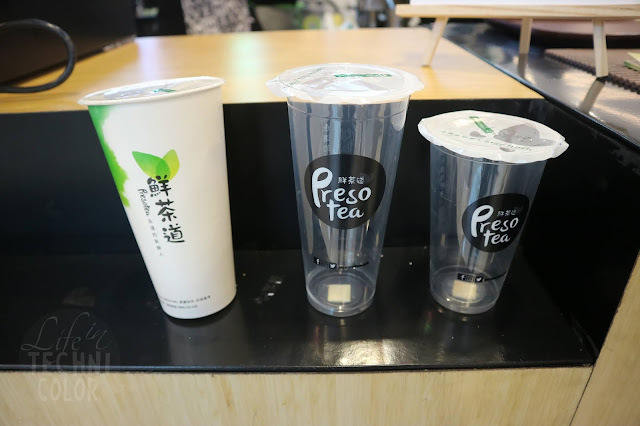 A stand out from regular bubble tea shops that brew tea in a bulk bucket, Presotea uses one special tea bag for each cup of tea. Every drink is ensured to be freshly made because it’s brew-to-order. 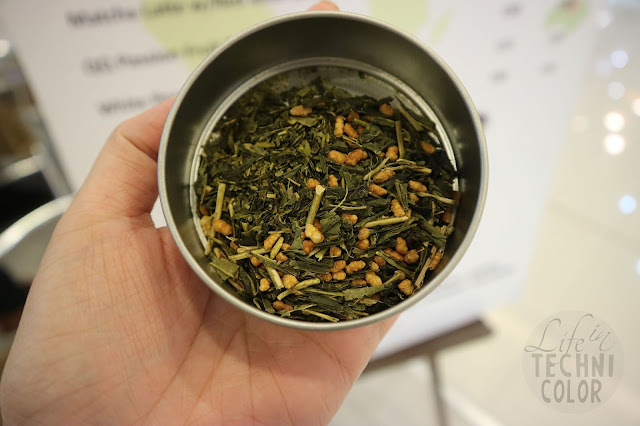 Presotea has an extensive range of tea choices which includes Green Tea, Flower Tea, Black Tea, Matcha, and Fruit Tea. 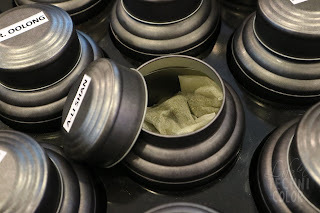 The teas selected for each Presotea cup is made with only high quality tea leaves. 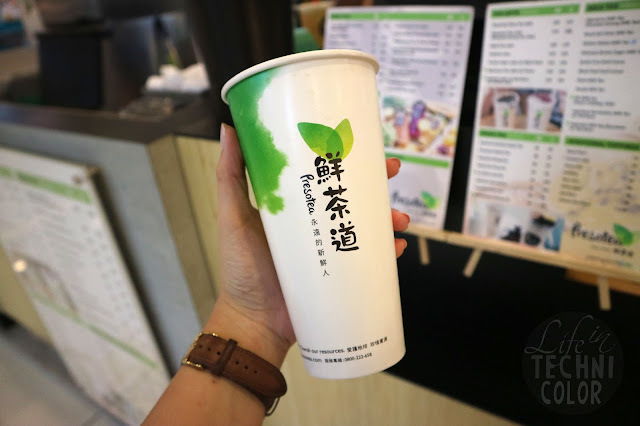 They also have unique flavors like A-Li-Shan and Blueberry Tea. 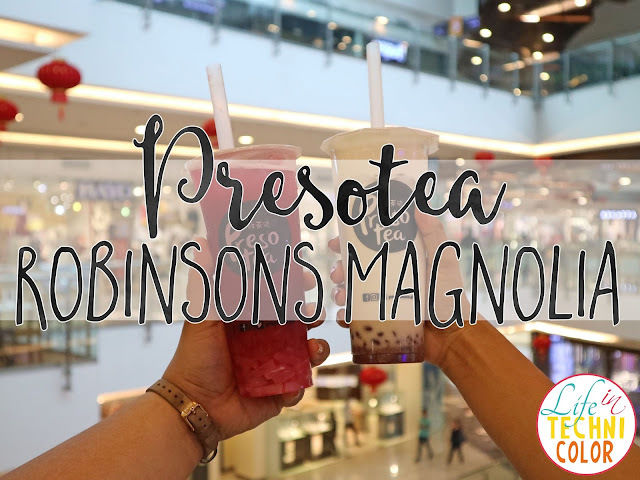 The Presotea franchise is brought to the Philippines by Gastrominds, Inc. Visit them at the 2nd Level of Robinsons Magnolia, and UG Level Foodstrip SM Cherry Shaw.